Brussels, 3 May 2018/ ACP: The Prime Minister of Somalia, Mr Hassan Ali Khayre, met with Ambassadors of the African, Caribbean and Pacific Countries in Brussels earlier today. 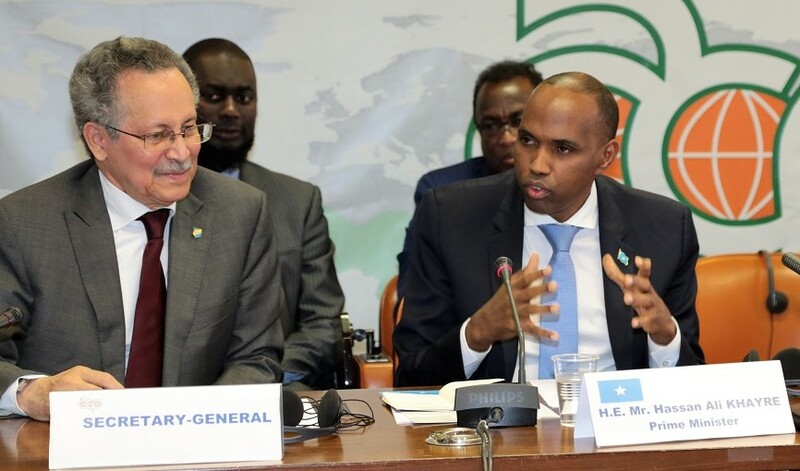 The main message from the Prime Minister was that Somalia was trying to establish a stable foundation on which to re-build a strong nation. Sixty-seven-year old Sarudzai Msipa heavily blows air in and out of her mouth, seated in the open-air on a goat skin mat outside her hut as she battles to revive a dying fire on her cooking place set up in the middle of her yard at her remote home in Mwenezi district in Zimbabwe’s Masvingo Province. Brussels, 26 April 2018/ ACP: The Prime Minister of Samoa, the Honourable Tuilaepa Sailele Malielegaoi met with Ambassadors of African, Caribbean and Pacific Countries in Brussels on Monday, urging ACP countries to work together towards building genuine and durable partnership in combating climate change. Indeed, under his leadership Samoa has become an international point of reference in terms of combating climate change thereby making the Prime Minister one of the most visible and influential spokespersons on the latter in the Pacific region. Brussels, 26 April 2018/ ACP: Experts from all the 6 ACP regions Cariforum, Pacific, Southern Africa, West Africa, Central Africa and Eastern Africa gathered on 24-25 April 2018 in Brussels to discuss natural risk management and climate change challenges in ACP countries. 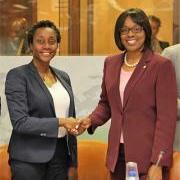 As the Africa, Caribbean and Pacific (ACP) Group of States include some of the most disaster-prone and climate-vulnerable nations in the world, the meeting served as a solid framework to guide the ACP group’s follow up strategy for Disaster Risk Management for the next 5-year period 2018-2023. 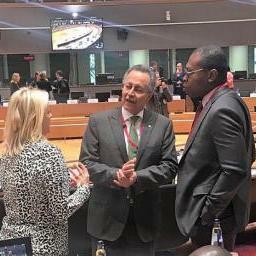 Brussels, 26 April 2018/ ACP: The Secretary General of African, Caribbean and Pacific Group of States, H.E. Dr. Patrick I. Gomes received the Honourable Alamine Ousmane Mey, Minister of Economic Planning and Regional Development of the Republic of Cameroon during a courtesy call to the ACP House on Wednesday 25 April 2018.